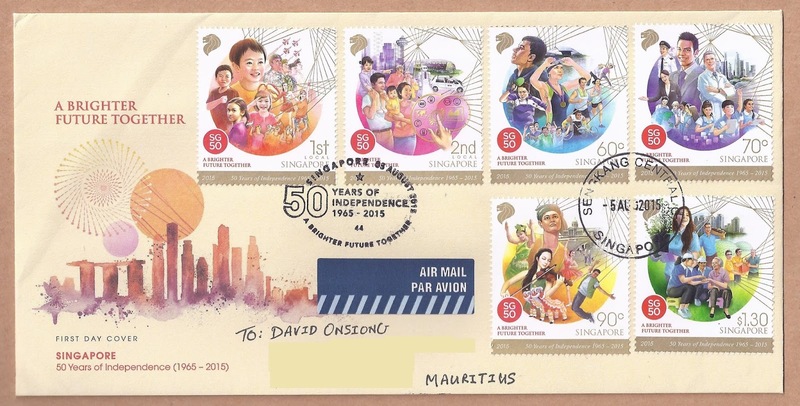 2015 marks 50 years since Singapore became independent. 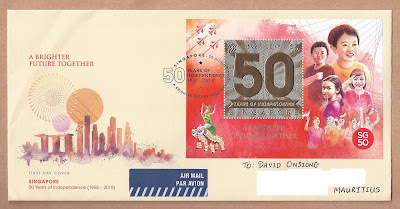 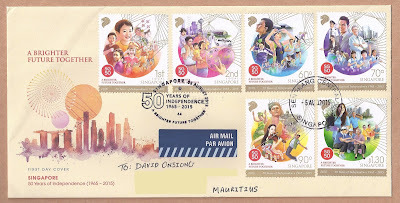 After 'Our Journey Together' in 2013 and 'I am Singaporean' in 2014, Singapore Post released on 5 August 2015 another set of stamps titled 'A Brighter Future Together' to celebrate the country's golden jubilee. 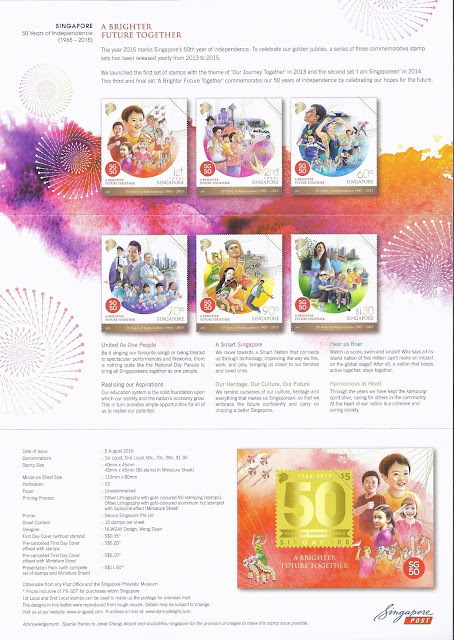 The back of the official FDC. 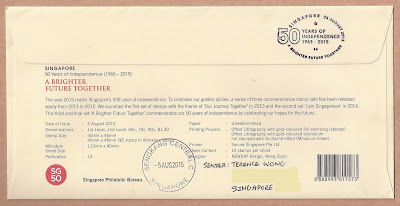 Thank you very much Terence for these really nice FDCs sent from Sengkang Central Post Office on the first day of issue. 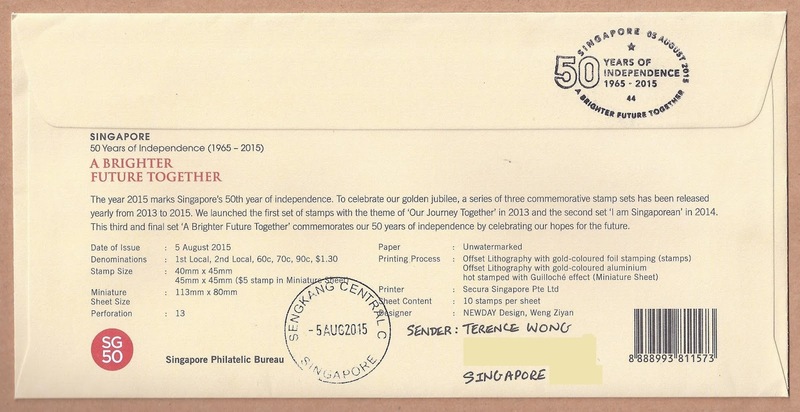 A $5 miniature sheet printed by offset lithography with gold-coloured aluminium hot stamped with Guilloché effect was also released. The World Stamp Exhibition was held in Singapore from 14-19 August 2015 and joint issues scheduled in the context of these golden jubilee celebrations. Logo of the Golden Jubilee celebrations.